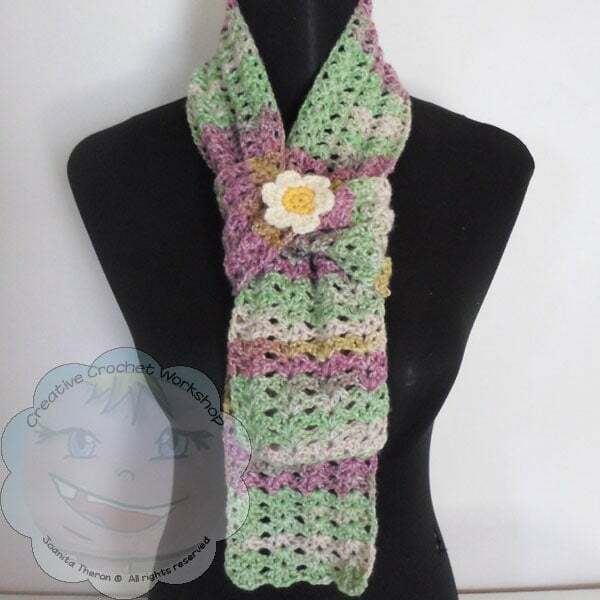 This is a special gift I made for someone who loves to wear little scarves and brooches! 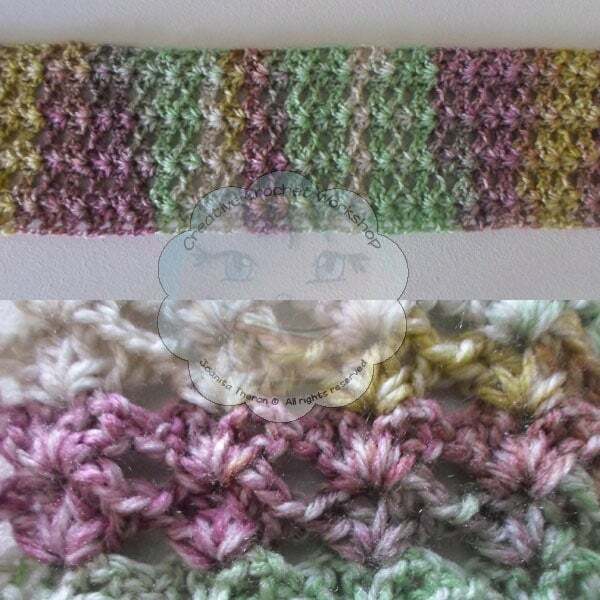 It is called Starry Eye because of the crochet stitch I used. Size 3,50 mm Hook – a 4,00 hook will also work great! 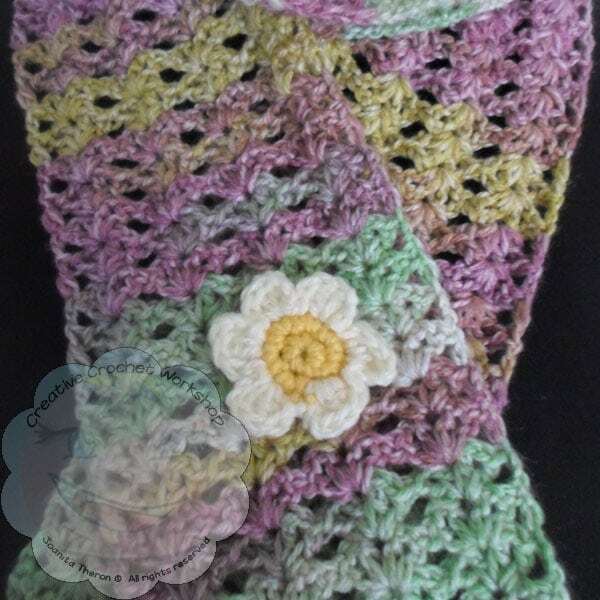 This project will completely depend on the type of yarn and hook you use! Row 1: Work 1 DC into 8th CH from hook. Repeat row 2 for the pattern and for required length. Rnd 3: CH3, work 2 DC into same ST, CH3, SL ST into next 2 STS. *CH3, work 2 DC into same ST, CH3, SL ST into next 2 STS. Repeat from * 3 more times. 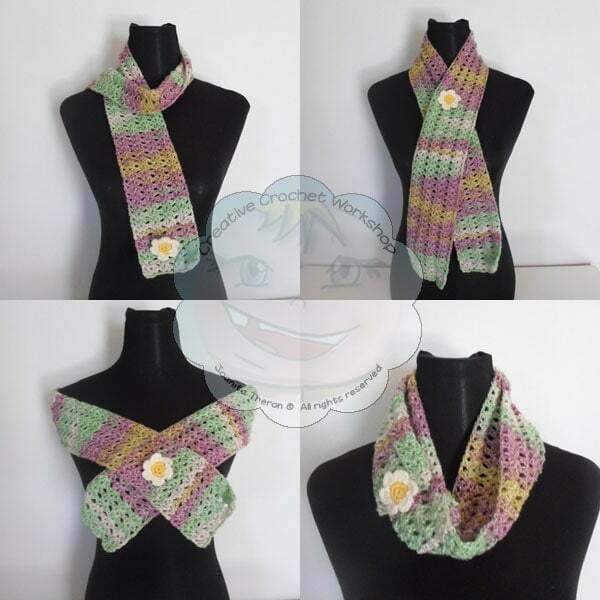 On behalf of the Oombawka Design readers, and myself, I would like to Thank Joanita for sharing this pretty Starry Eye Scarflet free crochet pattern! You can customize this to any size using the instructions provided. 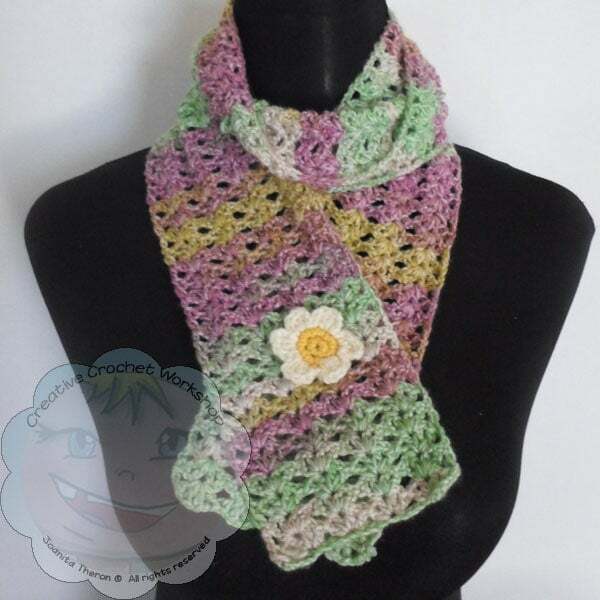 This is a lightweight and lacy style scarf – perfect for cool evenings, or as a accent piece. Hi, I was wondering what yarn was used for the scarf in the photos? It is lovely. 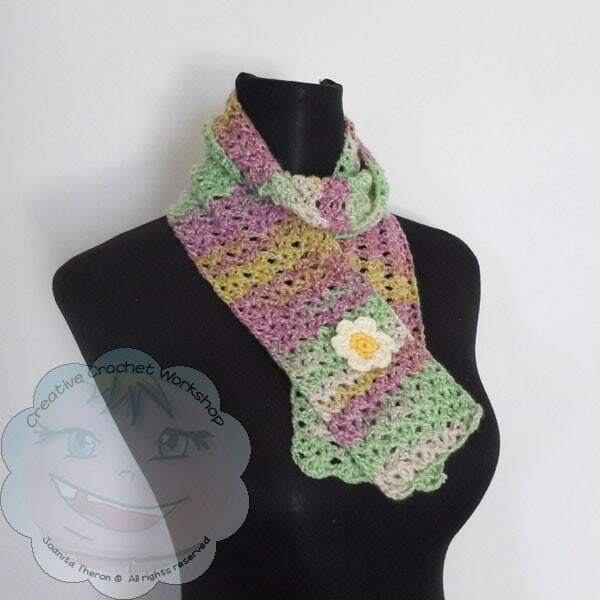 Hi I wondering how I can download this pattern or have it emailed to me at it is lovely pattern. Thank you sharing this with us. I love this little Scarlett! I don’t get cold easily, so almost everything is too much for me. But I need to keep my chest warm from chill because of asthma and allergies. This looks just perfect for me! Thank you for sharing it!